Choosing the right paint roller for the job can influence the finish. 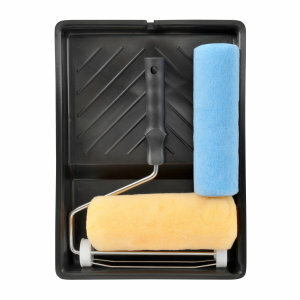 Paint rollers can often complete a project much quicker than using a paint brush, especially on larger, open surfaces. With such an extensive range of paint rollers available from your local Brewers branch, it’s important to discover the type of roller which is best suited for the project. On large, flat surfaces using a roller can save a lot of time compared to using a traditional brush. However the type of surface, in particular it’s texture, will determine the best type of paint roller to use. 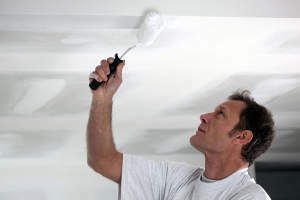 For example, rougher surfaces need longer fibres to the roller - longer fibres allow the paint to penetrate into the ridges of the substrate such as textured walls or artexed ceilings. Whereas on smooth surfaces such as newly plastered walls, shorter fibres allow a more even coverage. The type of paint and the surface, in particular it’s texture, will determine the best type of roller to use. 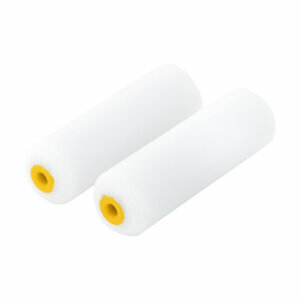 Your local Brewers branch will be happy to help advise on the best roller for the job. 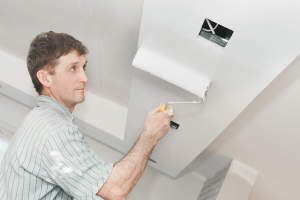 The type of paint being used is an important factor to consider before choosing a roller. For example woven rollers are perfect for many solvent-based paints, whereas microfibre rollers are ideally suited for water-based paint application. For more information on the most suitable roller for your project pop into your local Brewers branch who will be happy to talk you through the options, or call 0845 504 5040 and talk to the Brewers technical team. A science fiction magazine serial in 1931 mentioned using rollers to paint a space ship. The basic roller was invented in 1940 by Canadian Norman Breakey. Rollers can be made from natural or manmade fibres. The length of the roller fibres is called the ‘pile’ or ‘nap’. Natural fibre rollers, such as sheepskin, generally hold more paint than their synthetic equivalent. Natural fibre rollers are also more durable when using on rough surfaces.